Click Here to download the PDF of the pattern for Block Three: Surf's Up! Part of an ocean walk is watching the surf come in and come out. It's so amazing to think about the power of the ocean... from huge crashing waves to little tiny ripples that barely hit the shore. I'm not a surfer but I am fascinated by what it takes to ride those waves! One of my greatest ways to relax is to walk the beach, listen to the surf, and take in the seaside. When I want to disconnect, the beach is where I want to go. We have found a new hotel in Florida where the balcony faces the beach. It is fantastic to wake up in the morning and have a coffee out there. I'd love to know what you find relaxing, leave me a comment! Like the prior blocks, you will see directions for TWO ways to make the block. Option 1- Flying Geese method. Or Option 2- Half Square Triangle method. Block 3 is the same colors for both my Aqua and my Navy quilt. 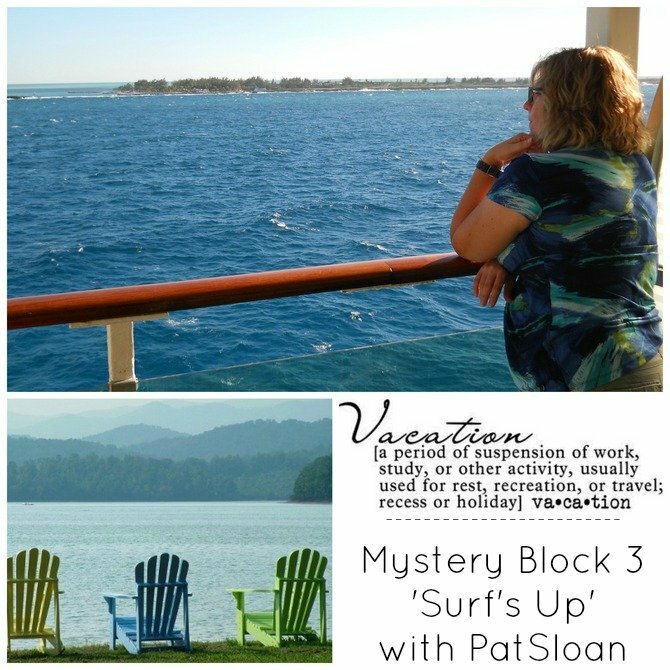 Pat's Video for Block Three: Surf's Up! 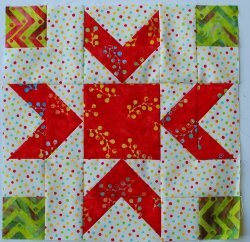 Visit my blog post for the latest and see all three blocks together! Also, visit my post about Block 3 where I give you a little insider look by clicking here.